Makes 12 servings, 1 piece (141 g) each. Prepare cake batter and bake as directed on package for 3-L fluted tube pan. Cool in pan 10 min. ; invert onto wire rack. 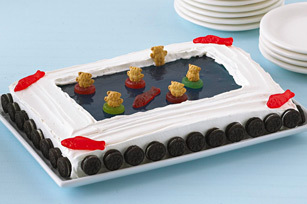 Cool cake completely. Transfer to plate. Beat dry pudding mix, sugar and milk in medium bowl with whisk 2 min. Stir in Cool Whip. 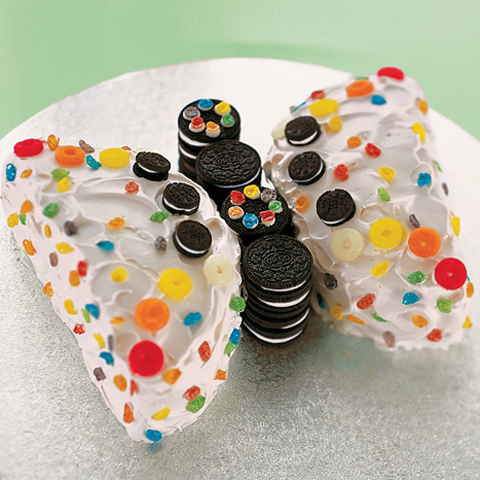 Spread onto cake. Press marshmallows into frosting around bottom of cake. 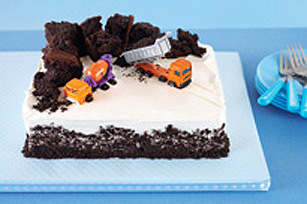 Insert wafers into top of cake as shown in photo. Place 1 animal cracker at base of each wafer. Top wafers with 10-inch paper doily for the merry-go-round roof. (See Tip.) Keep refrigerated. 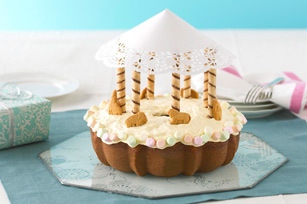 How to Make the Merry-Go-Round RoofCut slit from edge just to centre of 10-inch paper doily. Overlap 2 edges slightly to form peaked top; secure with tape. 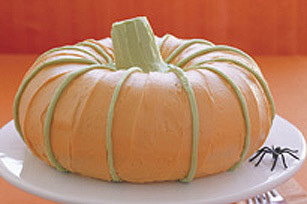 Special ExtraTint Cool Whip with food colouring as desired before using to frost cake.